Harbin Engineering University is defining her distinctive position in the nation's development strategy by specializing in shipping industry, ocean exploration and nuclear application. By also leading a series of reforms in teaching, scientific research and information management systems, Harbin Engineering University is expanding her role as China's premier comprehensive international university now and into the 21st century. Northeast Agricultural University, founded in Harbin in 1948 and originally named Northeast Agricultural College, is a key university directly under Heilongjiang province and one of universities of Project “211”. It is located in No.59 Mucai Street, XiangFang District, Harbin.NEAU comprises 18 colleges and 1 Education Department, covering the disciplines of Agronomy, Engineering, Science, Economics and Management. There are 3 key disciplines of national level, 3 key (under cultivation) disciplines of national level, 2 key disciplines under the Agricultural Ministry, 2 key disciplines of provincial level, 6 first-class provincial key disciplines and 29 second–class ones. 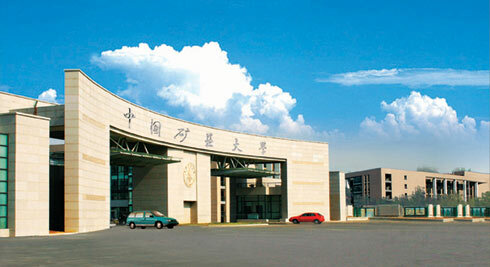 Founded in 1952, Northeast Forestry University (NEFU) was formed by the combination of both Zhejiang University and Northeast Agricultural College's forestry departments. It is currently one of the Ministry of Education of People's Republic of China's key universities and is also one of the universities in the “211 Project”. Northeast Forestry University is located in the city of Harbin , the center of the region with China's 1argest state-owned forests. Its campus covers more than 136 hectares with teaching buildings, scientific research laboratories and practice sites. In addition, there are still several practice centers which include the Maoershan Experimental Forestry Center (Maoershan National Forest Park) and the LiangShui Experimental Forestry Center (LiangShui State-level Natural Reserve) etc. Therefore，the university has a total area of 33,000 hectares. Nanjing University, one of China's key comprehensive universities under the direct supervision of the Ministry of Education, dates from 1902 when it was known as Sanjiang Normal School. During the following decades, it evolved as Liangjiang Normal School, Nanjing Higher Normal School, National Southeast University, the Fourth Zhongshan University, and National Central University. 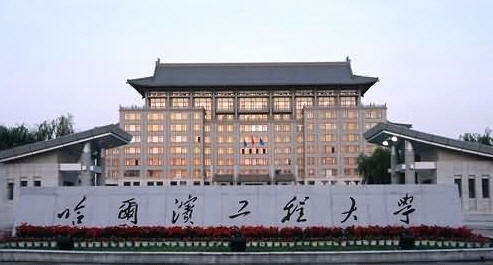 On August 8, 1949, National Central University was renamed National Nanjing University. In October 1950, as required by the Ministry of Education, the name was changed to Nanjing University (NJU). In 1952, due to the nationwide restructuring of colleges and universities, some academic units such as the School of Engineering and the School of Agriculture were separated from the university; meanwhile, it merged with the School of Liberal Arts and the School of Sciences of the University of Nanking founded in 1888. Its name remained while its campus moved from Sipailou to Gulou. 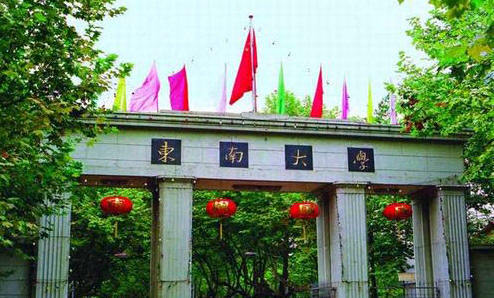 Southeast University is one of the oldest institutions of higher learning in China, whose origin can be traced back to 1902, when it was founded as Sanjiang Normal College. 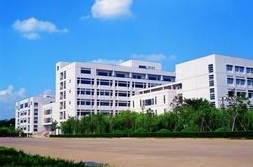 In 2000 Nanjing Railway Medical College (which is listed by WHO), Nanjing College of Communication and Nanjing Geological School were incorporateted into Southeast University. Soochow University is located in the ancient city of Suzhou famous for its classical gardens and known as “the Paradise on Earth”. As a “State 211 Project” institution of higher education and a key comprehensive university of Jiangsu province, Soochow University has passed through one hundred years of its educational course. Originally founded in 1900, it merged Southern Jiangsu College of Culture & Education and the Department of Mathematics & Physics of Jiang Nan University in 1952 and became Southern Jiangsu Teachers’ College. Later in the same year, it was renamed as Jiangsu Teachers’ College, operating on the original campus. In 1982, approved by the State Council, it was re-established as Soochow University. 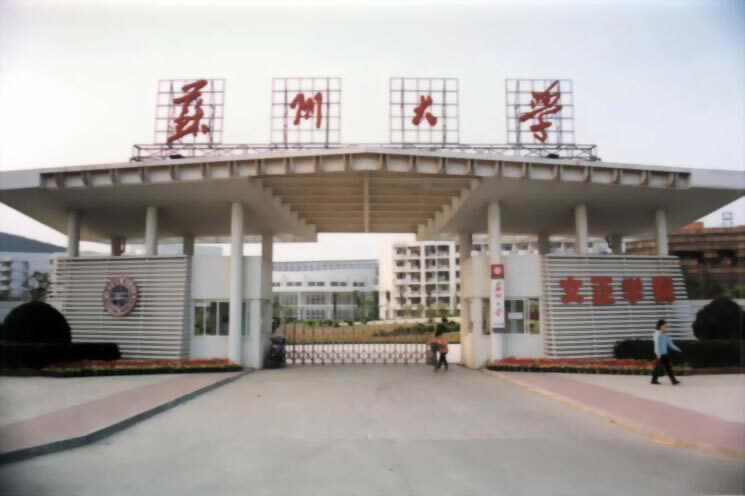 Then, Suzhou College of Sericulture, Suzhou Institute of Silk Textile Technology and Suzhou Medical College merged into Soochow University in 1995, 1997 and 2000, respectively. Soochow University has now developed into a first rate provincial comprehensive institution in China with a complete coverage of all branches of learning with remarkably large enrollment and outstanding educational benefits. China University of Mining and Technology (CUMT) is one of the key national universities under the direct administration of the China’s Ministry of Education. It is also one of the universities which host a graduate school with the approval of the Ministry of Education, and one of that in the national “211 project”, a government program designed to support and improve top-level institutions of higher learning in China. 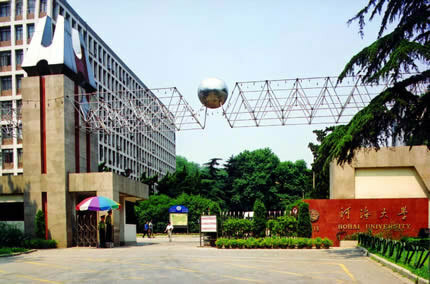 Nanjing University of Aeronautics and Astronautics was established in October, 1952. It is located in Nanjing, the ancient capital of six dynasties. 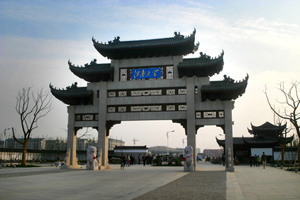 Minggugong Campus is situated on the remains of the ancient Ming Palace, and Jiangjunlu Campus is situated in Jiangning Economic and Technological Development Zone, covering an area of more than 460 acres with a building floor space of 800, 000 square meters. The library has a collection of over 2, 000, 000 volumes. Now the total number of registered students is 24, 600, including 15, 600 undergraduates, 6, 000 postgraduates, and 200 international students. NUAA also has 5, 200 part-time students. NUAA has a staff of 2, 900, among whom over 1, 700 are faculty members and researchers, including about 1000 professors and associate professors, 10 CAS academicians, 199 Ph.D. supervisors, 3 members of Academic Degree Committee under the State Council, 3 "Changjiang Scholar Award" professors, 26 professors with national or provincial recognition for their outstanding contributions, 136 experts who enjoy special government allowance.